MPSC Recruitment Notification for Assistant Administrative Officer Vacancies- Apply Online at www.mpsc.gov.in. Maharashtra Public Service Commission Recruitment Notification 2017 for the vacancies of Assistant Administrative Officer. Candidates having the required qualification and full fill other eligibility, can apply online through the official website of Maharashtra public service commission website www.mahampsc.mahaonline.gov.in. The last date for this requirement is 6th December, 2017 while online application form started from 16 November, 2017. Age Limit: The minimum age is 18 years while maximum age is 38 years as on 1.8.2017. More age relaxation details are given in the official notification of the recruitment, download from the following link. Education Qualification: The candidate must have following education qualifications and experience. Experience: 1. possess experience in supervisory capacity in any department of office of the Government of Maharashtra, Local body or industrial or commercial undertaking for not less than three years. 2. experience in administrative work relating to a large industrial or commercial establishment and in organization and method work. All the selected candidates will go under the probation period of 2 years. More details in official advertisement and notification document. For unreserved candidates Rs. 524/- and for reserved category candidates Rs. 324/- Applicant must the the application fees through online mode via Net banking, Debit card, Credit Card / Sangram Kendra/CFC (Public Service Center)or SBI Challan. How To Apply for MPSC Recruitment 2017 Assistant Administrator Officer? All the interested and eligible candidates can apply online by filling the online application form. 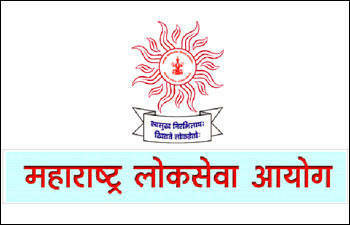 Open the official website of Maharashtra public service commission www.mpsc.gov.in or www.mahampsc.mahaonline.gov.in to apply online. First download the official MPSC Notification for the recruitment of Asssitant Administrator Officer Posts. Download and read it carefully to check your all eligibility criteria. Once you paid your application fees, it will not be refundable.